But what really seemed to 'wow' internet users in the video-gone-viral is a new coffin-shaped vehicle filled with anti-aircraft gunners pictured driving back and forth along a railway track. Some quickly christened the cart a 'wagon on a string'; others said it reminded them of a cart from a rollercoaster ride. The more macabre among users simply called the vehicle a 'coffin on wheels', given its distinct shape. "The coffin at the two minute mark is just messed up. They're the strongest funeral company on the continent," a user named Konstantin wrote, in a play on President Petro Poroshenko's words that Ukraine's army's was 'the strongest in Europe'. "What was that 'wunderwaffle' at 1:44?" Gomer joked. "What the hell was that?! As I understand it, a coffin on wheels is the stuff of children's horror stories. They stole a grocery cart from the supermarket, lined it with plywood, and it turned out that there wasn't enough money left over for the paint…" chimed in Ermak. The comments weren't limited to the unique new rail-based cart, either. Users joked about the difficulty one Ukrainian tanker seemed to have climbing into his tank, saying it reminded them of the popular Soviet children's cartoon Winnie Pooh. Others slammed the decision to greet the US troops with the traditional Ukrainian bread and salt greeting. 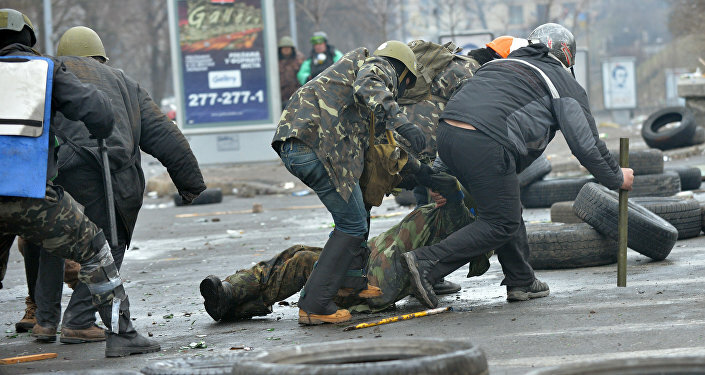 More serious users called the demonstration a "circus," and lamented that these Ukrainian servicemen would be the first to be put into a meat grinder for the sake of US interests. 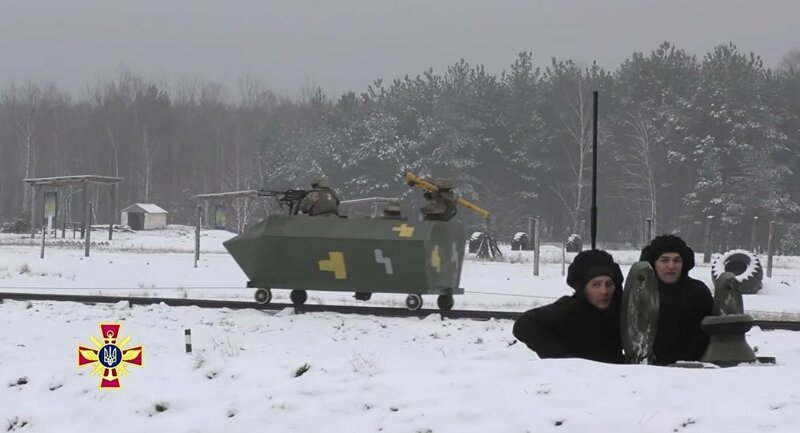 Garnering over 260,000 views and even resulting in spinoff videos devoted specifically to the 'coffin on wheels' design, the Ukrainian Armed Forces video's 'dislikes' far outpace its 'likes'.